After watching a movie and eating lunch, you have to have dessert. And on a hot, sunny day, nothing beats ice cream for one. 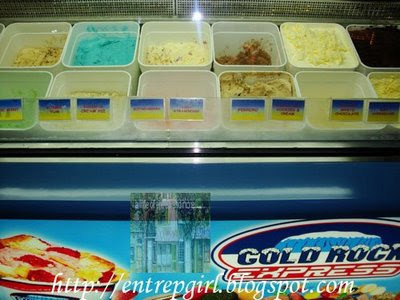 There's a fairly new ice cream station in Alabang Town Center, Cold Rock Express. We first came across it a couple of months ago while walking around ATC's activity center. It's the one outside CPK and Gift Gate, beside the Smokey's booth. When we had inquired how much was for a small cup serving, the price the lady had given came as quite a shock, it costs as much as Haagen Dazs. And so we moved on. 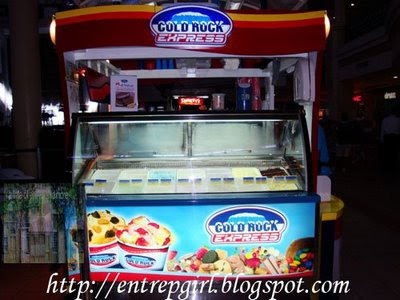 A couple of weeks ago though, my daughter suddenly craved for ice cream and pointed to Cold Rock Express. I told her that we would just buy ice cream, a bigger one, a whole gallon, in the grocery store, but she kept on insisting that she wanted the bubble gum and strawberry flavor from Cold Rock. Her daddy caved in to his little girl's request and so they went ahead to get one. 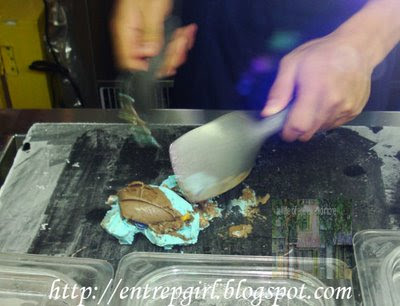 When I tasted it, oh goodness, so THIS is why their prices are higher than the usual Magnolia or Selecta. The ice cream tasted absolutely heavenly, very well worth the price. It's like premium home made ice cream, only better. The flavors are not too strong but still rich, you'd want to lick off every ounce of it from the spoon to savor the sweet, cold sensation of this delicious dessert. When we went to ATC again last Thursday, I made sure to take a picture of it so I can share it with you all. Next time you want something to cool you off (or even not), you definitely have to try this. It's really quite addictive. You can have two scoops for the small cup plus 1 mix-in (P140.50), and three scoops for the big one plus 2 or 3 mix-ins (P229.50). Yeah I know, why do they have to have P0.50 on the price. I asked their crew, they don't know either. Anyway, you'll forget all about it as soon as you taste the ice cream. Their best sellers are the Belgian Chocolate and Vanilla. But I also like their Bubble Gum and Chocolate Mint as well. 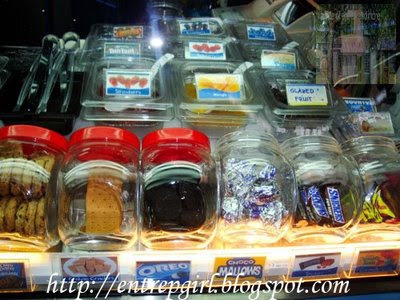 They actually have a whole range of mix-ins (familiarly known as toppings, only they mix it in with the ice cream instead of just putting it on top, hence the term), from chocolates to cookies and fruits to candies. They add to the texture, giving you an indulgent experience of a chunky, but smooth excellent dessert. 1. 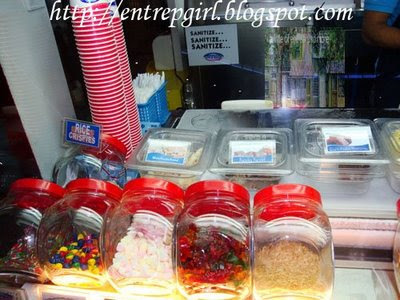 You pick two or three flavors for the ice cream, depending on the cup you want to get. 2. Go to the other side to pick your mix-ins. 3. Watch the crew as they mix all of it on top of a granite counter. 4. Pay for it. 5. Voila! You now have your own Cold Rock. Enjoy! 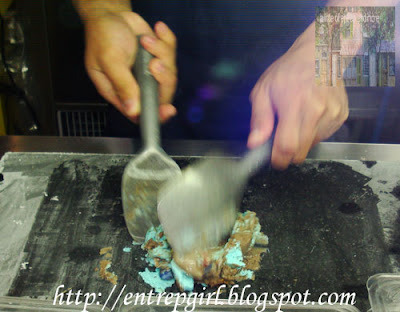 After doing this post, while blog hopping, I came across southbound.ph's "Want Free Ice Cream? 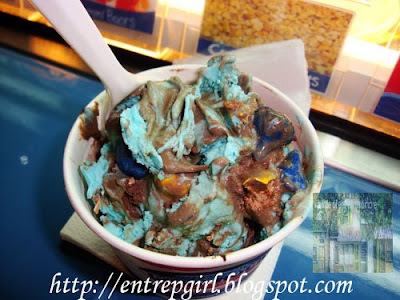 Win Cold Rock Gift Certificates Just By Blogging!" promo. Lucky me, I just finished doing mine. I'll be sure to join in and I really hope I can win those GC's. Let's see, I'd like to have the bubble gum, belgian chocolate and chocolate mint mixed with gummi bears and strawberries. Yummy! Here in Jakarta we have both Cold Rock and Cold Stone. The boys and I prefer Cold Stone Handsdown. The ice cream is just creamier and more flavorful. They also have more interesting flavors like Apple Gummi Bear and Cotton Candy. Our favorite is Cotton Candy with Gummi Bears and Cake Batter ice cream with , Reese's Peanut Butter Cup and Cookie Dough mix ins. Yum! Yum! They sometimes have promos where if you buy takeout sizes they'll upgrade it to the next bigger size. So worth the money. In fact, it's probably the only time we buy cos at it's usual price, it's too expensive. oh, i wish you'd leave your name guys so i can visit you back. thanks for the comments though! 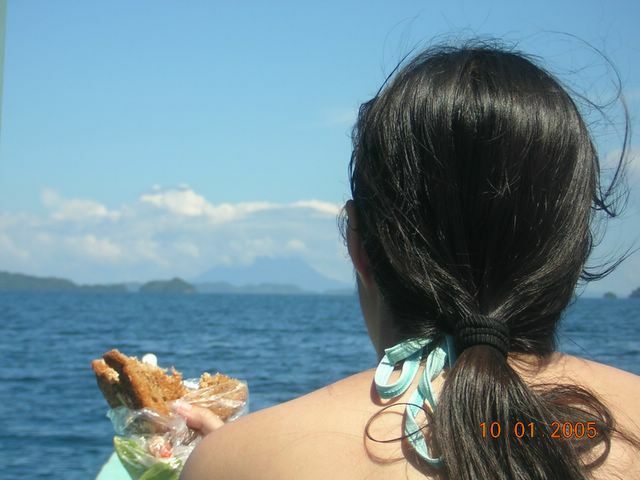 who knows, maybe someone will open up a Stone Cold branch here then we can compare both in a creamier and richer Filipino setting.